Aviation Minister Suresh Prabhu on Friday asked the civil aviation secretary Pradeep Singh Kharola to review the issues concerning the debt-laden Jet Airways. New Delhi: To review the issues concerning Jet Airways, Aviation Minister Suresh Prabhu on Friday directed the civil aviation secretary Pradeep Singh Kharola to take necessary steps to minimise passenger inconvenience and ensure their safety. On Thursday, Jet Airways had reportedly grounded its services to and from the East and Northeast regions. The cash strapped airline has been operating with less than 10 planes. “Directed Secretary MoCA to review issues related to Jet Airways. Asked him to take necessary steps to minimise passenger inconvenience and ensure their safety,” Prabhu tweeted in the morning. 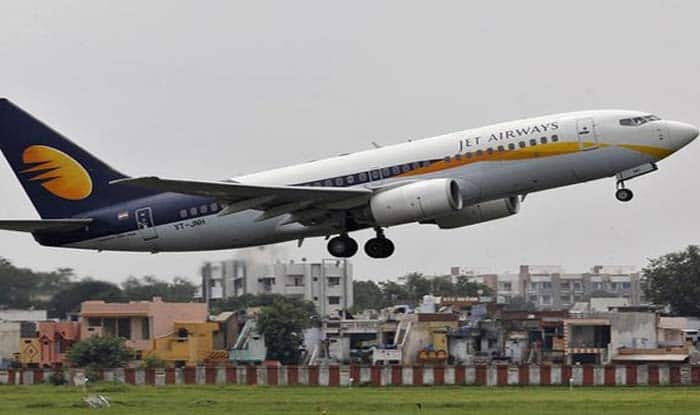 According to industry sources, Jet Airways will operate only nine planes — two Boeing 737s and seven regional Jet ATRs — on Friday.”Jet is operating only nine planes on Friday,” a source said. Further, the airline also suspended its international operations for one day. This resulted in many passengers stranded at the airports. According to sources, the airline currently owes more than Rs 3,500 crore to passengers on account of flight cancellations alone. As of Thursday noon, the airline operated just 14 planes– way down from 123 planes in operations at the peak. Recently, the airline’s board members met in Mumbai and discussed “operational” issues, while its strategic partner Etihad Airways submitted initial bids for a higher stake in the crippled carrier. Last month, Goyal had agreed to pare down his stake to 25.5 per cent for an emergency fund of Rs 1,500 crore from the lenders, and leave the board but the process is yet to be completed due to procedural delays. With just 14 aircraft left for operations, aviation secretary Pradeep Singh Kharola reportedly said that the ministry was awaiting a report from the DGCA to decide whether Jet can continue to fly on international routes. The government rules stipulate an airline must have at least 20 planes for operating international operations. Of the 14 aircraft that it operated till Thursday evening, eight were wide-body B777s (seven) and an A330– generally used for long-haul international operations. The remaining six planes were, three B737s, which are largely used for flying on domestic routes besides on short-haul international destinations and the rest three are regional ATRs.